Armed police were called to a South Yorkshire street on Saturday afternoon because of protests in the area. Eye-witnesses reported armed police and incident support units on Midland Road, Swinton, at around 1.30pm on Saturday, March 26. 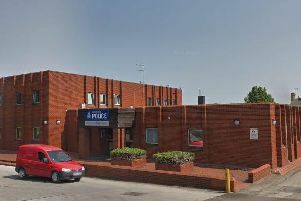 A South Yorkshire Police spokesman said: “The police presence in Swinton was likely due to the demonstration on Saturday. A number of demonstrators got off the trains in Swinton, which lead to an increased presence in the area.